Dining table, buffet table and piano are not to be moved from their current positions. Dining table, buffet table and piano must be protected at all times. The Old Homestead does not provide catering or serving utensils. You may use your preferred caterer. The kitchen stove is provided to reheat food. Cooking is not permitted due to fire regulations. We also have a designated area for the use of barbecues and food trucks. The Old Homestead is equipped with an electrical infrastructure to support audio and video. 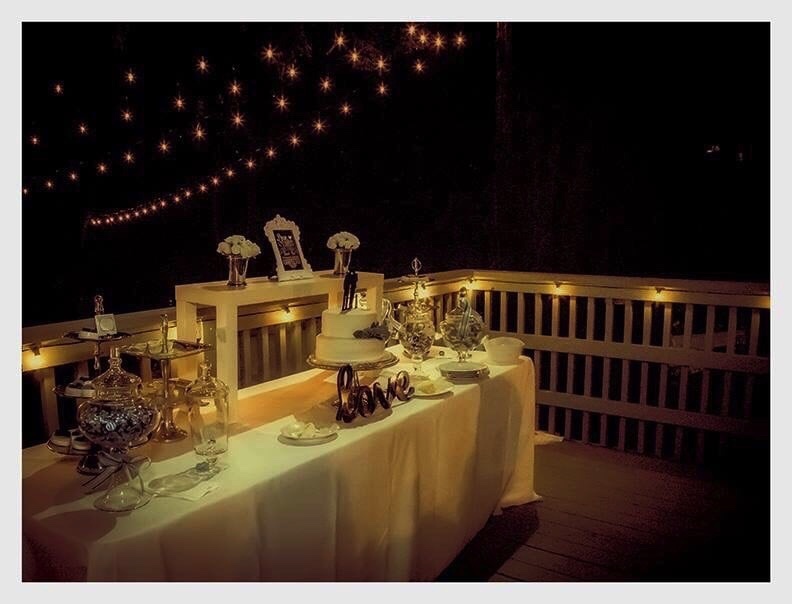 We provide spot lighting in the backyard and pathway lighting and banister lighting on the deck area. We have a designated area for barbecue set ups and food trucks. We invite you to rent your own barbecue or food vendor and utilize this great space! We provide a plot plan of the grounds. Our event staff sets up the tables and/or chairs at the beginning of your rental time and the event staff arrives 30 minutes before the end of your rental time to tear down and store the cleared tables and chairs.